Here you may find all relevant information on patent costs and application procedures at a glance. How much is a European patent application? Get a better picture of patent cost of a European, German or International patent application! 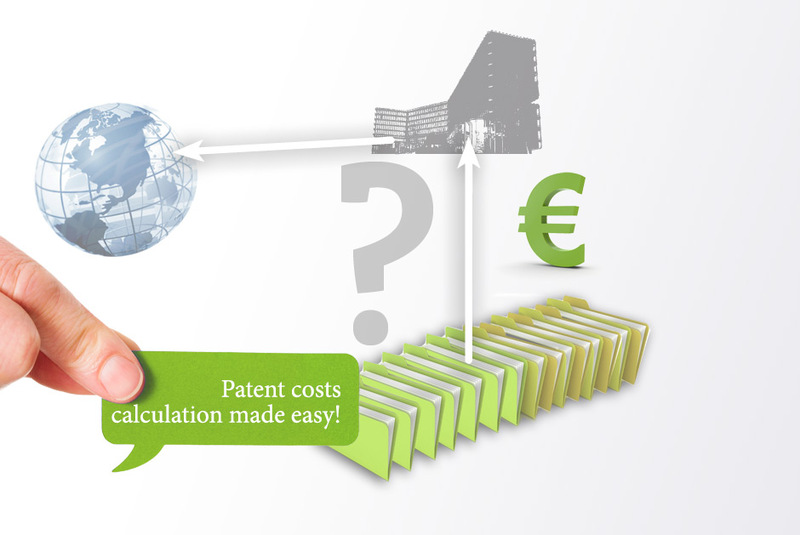 With our online European patent fee calculator you will obtain a good estimation of costs of a European patent. Furthermore, our cost charts provide you with an overview of the average cost of a German, European or International patent or patent application, respectively. This makes future costs much more transparent and budget planning much easier. Additionally, learn about costs of a Utility Model in Germany, US patents and patent cost of German patent applications in this section. Our charts on the different patent procedures show you the most important stages in the life-span of a German, European or PCT patent application and provide you with an estimation of time which is necessary to pass through the different stage. Thus, you may track the route of your application at any time and know which stages are still ahead of your application or patent. Further, you will find extensive information on all aspects of patent costs in relation to German, European and PCT patents. Try our patent cost-calculator and our other tools. Sign in now for free.